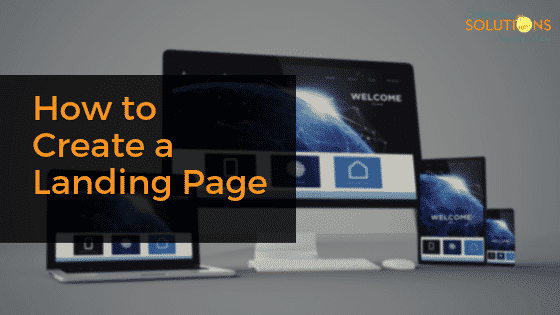 A landing page is a dedicated page on your website with a specific purpose and design. While it may somewhat follow the overall design scheme (colors, layout, etc.) of your normal website pages, it has an altogether different job. A landing page allows you to capture a visitor’s information through a lead-capture form while directing the visitor to take specific action. Landing pages target a particular audience, like traffic from an email campaign promoting a free eBook, or users who click on a social media or pay-per-click ad promoting your new book. Creating a landing page targeting specific audiences allows you to offer them something of value and convert a higher percentage of your visitors into leads, while also capturing information about who they are and why they landed on your website. Website visitors that arrive on your homepage are typically just browsing around. They are not after anything specific, and know they will have to poke around and click a few links to see what is available. And that’s all well and good for these “window shoppers.” Let them explore all they want; who knows, they may discover something they want or need. Seekers who arrive from a paid advertisement are a different breed altogether. Everything changes when you pay for the traffic. They have clicked on a specific ad for a specific offer. They are not browsing, they know exactly what they want and have, in essence, told you what they want. You must lead them directly to what they have asked for or else risk losing them. Plus, because you are paying for the traffic, you know why they are on your page. That gives you the ability to put exactly what they are looking for right in front of them. Here is a brief review of a landing page’s main components. Creating them is as much art as science, but it can be learned. If you want to funnel traffic to your offers and convert them to paying customers, learn to create landing pages that do that for you. Here’s what each landing page should contain. Every landing page should be designed with the end user in mind. While you want some similarity to your overall website design, the design of landing pages should mirror the ads to which they connect. A user will see the ad, click on it, and arrive on a similar-looking page. Colors, images, fonts, and copy layout should be pleasing to the eye and not distract from the overall goal: gathering information to make a conversion. The headline is the first thing users will likely see when they ‘land’ on your landing page. Your landing page headline should sum up the offer on the page in clear and concise language, and using an easily read font style and color. Your headline should let the user know explicitly what they will receive on this page. Landing page copy should explain the value of the offer clearly, simply, and in a compelling way. Break up large blocks of text and use bullet points to convey information in quick, easily digestible bits. Tell users exactly what is offered, what is required to get it, and what they need to do next. Research to discover the most popular, relevant keywords and keyword combinations for your landing page offer. Then, use them in the page title, page headers, page text, image alt text, and meta tags. This makes your landing page more easily found by search engines. These links enable visitors to easily share a landing page with their connections on social media networks. This makes it possible to extend the reach of your landing page beyond your own network and into the networks of many other contacts. Any top/side navigation bars should be hidden to minimize the chances of users becoming distracted or clicking off to another location. Removing or hiding page navigation has been shown to significantly increase the chances that users will stay on the page and convert. This is arguably the most critical component of your landing page. This form is where users give up the information you require in exchange for your offer, the entire reason they arrived at this page in the first place. Now the user has become a valued lead. Landing pages should always be followed by a similar-looking page that confirms receipt of the user’s information and either provides the offer or details the next steps for receiving the offer. Always be gracious and thank users for their information, and assure them of how you handle their personal data. These “thank-you pages” can also be accompanied by an automated email response that sends the offer or next steps. The role of the thank-you page and the email response is to make sure the user is never left hanging or wondering what will happen next. It also makes your company more personable and relatable. They have exchanged something of value (their contact information and permission to use it) with you for something you had of value (your offer). A transaction has been made. Courteous treatment is always warranted. These tools make the layout and design easier and most provide images and design choices for free, plus some paid options. Whichever tool you choose, use the above information to ensure the users who are directed to your landing pages have a clear idea of what to do to obtain your offer. Good landing pages raises your conversion rate and overall ROI, so learn to build them correctly. Do you have any great tips or tricks you recommend for those just starting out building their own landing pages? Share them in the comments below!